Need a Chat re how to upload a PDF fillable form that I have updated. Updated page has not been published. Currently, we do not have chat support as of the moment, but we'll try our best to help you here. To confirm, you have uploaded a PDF form to JotForm and you have not yet received it in your account? Is that correct? 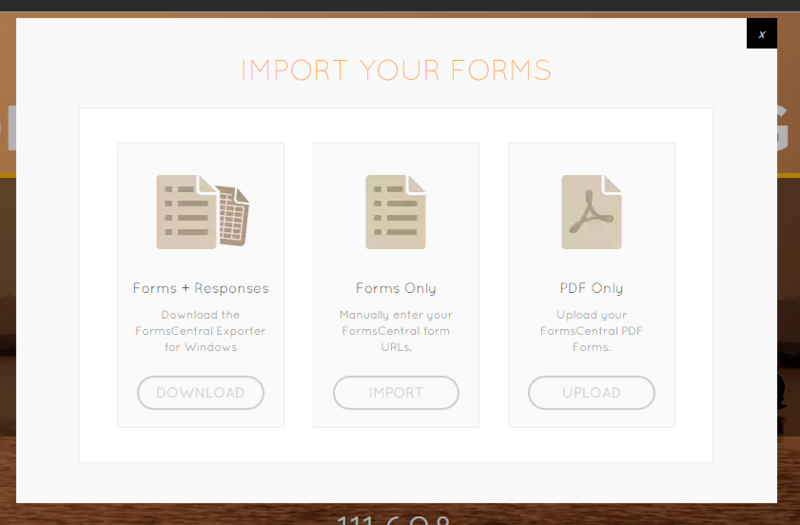 Have you tried re-uploading using the link here: http://www.jotform.com/adobe-formscentral-alternative/. Choose the 3rd option and upload the updated PDF form again. It may take a couple of days depending on the PDF form that you are uploading, but if you are still unable to receive it, we can forward it to our developers to have it checked.